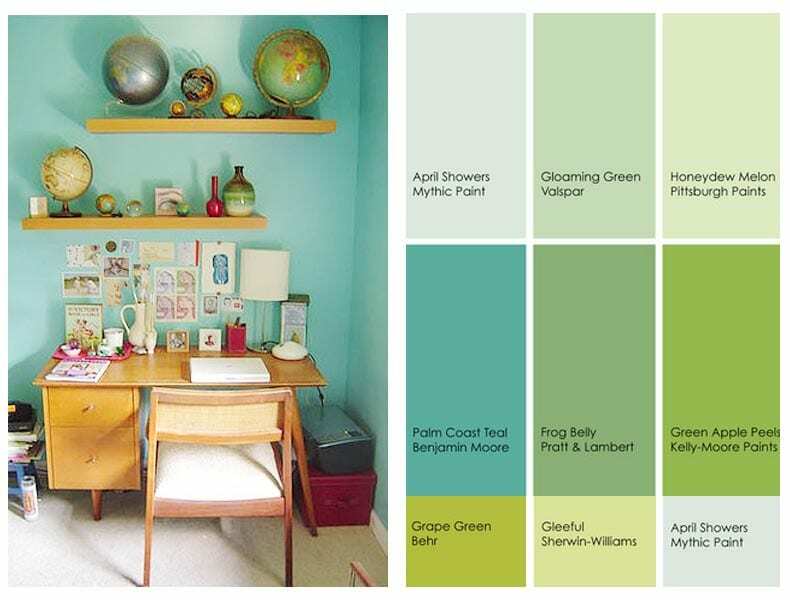 Gather inspiration: The back bedroom I’m thinking of transforming into an office is super small, I saw this image on Pinterest and just loved the combination of pale teal green and mini Mid-Century desk. 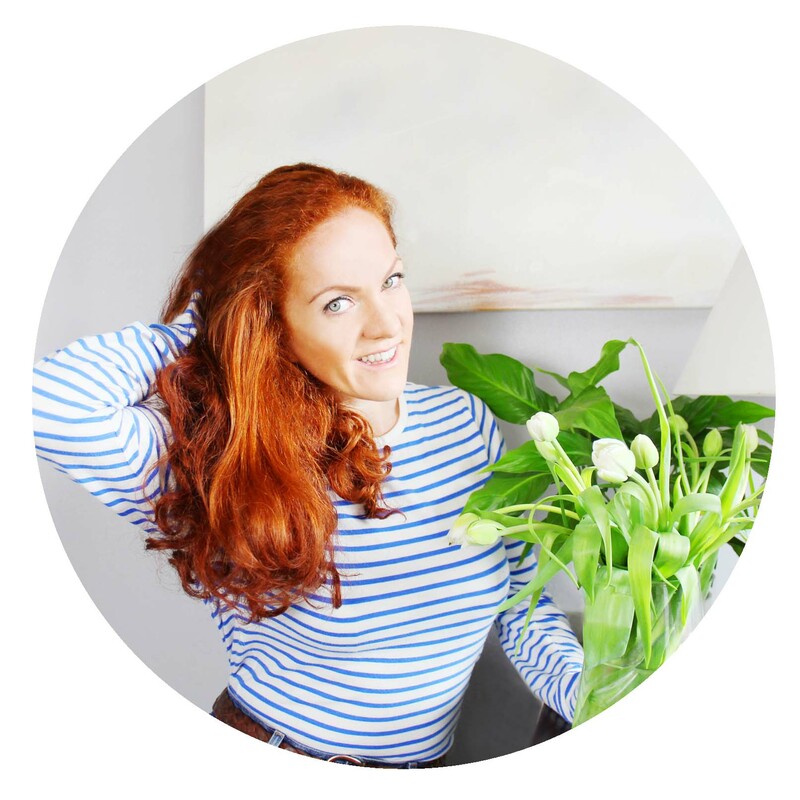 Before setting out on any interiors project, it helps to gather inspiration, including colour, style and key pieces. 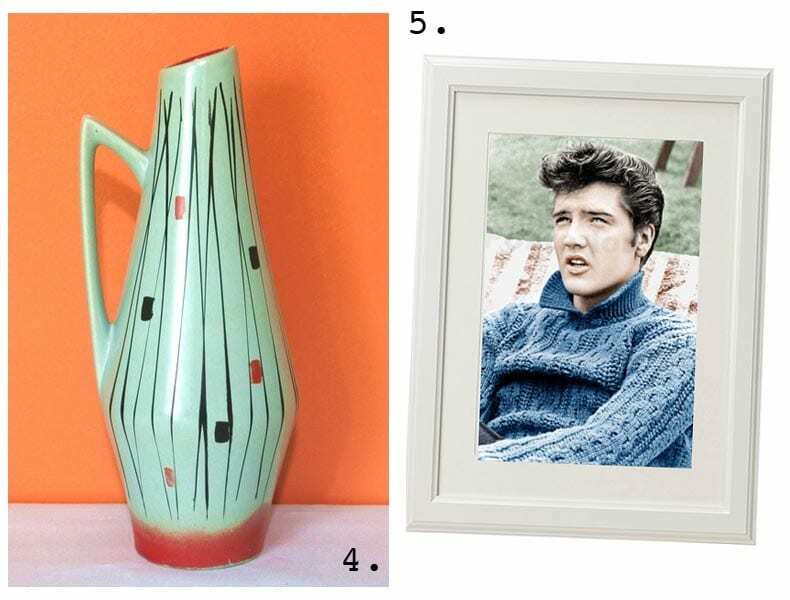 This way you have a visual shopping list so it’s easier to pick up items when you’re shopping vintage or at flea markets. Select key pieces: As the room is small, the furniture needed will be pretty minimal. 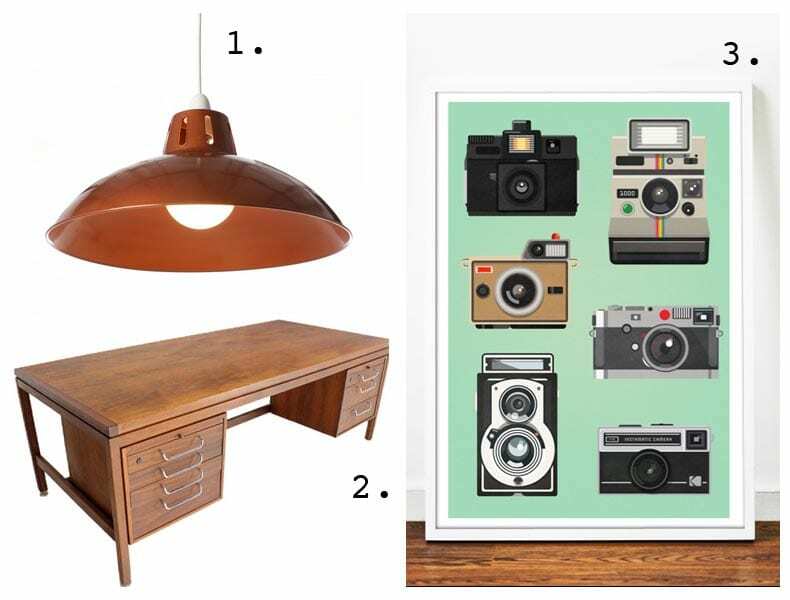 I love the contrast of the (1) retro copper lightshade against the teal green, and would love to find a Mid-Century desk similar to this one from (2) 1stDibs. On the wall above the desk I’d like to create a gallery wall and hang a select few pieces of artwork. When choosing which pictures to hang it’s always good to go with an image that inspires your work, as I love taking so many photos I thought this (3) Retro Camera Poster would spur me on, the teal background colour would compliment the wall colour too. 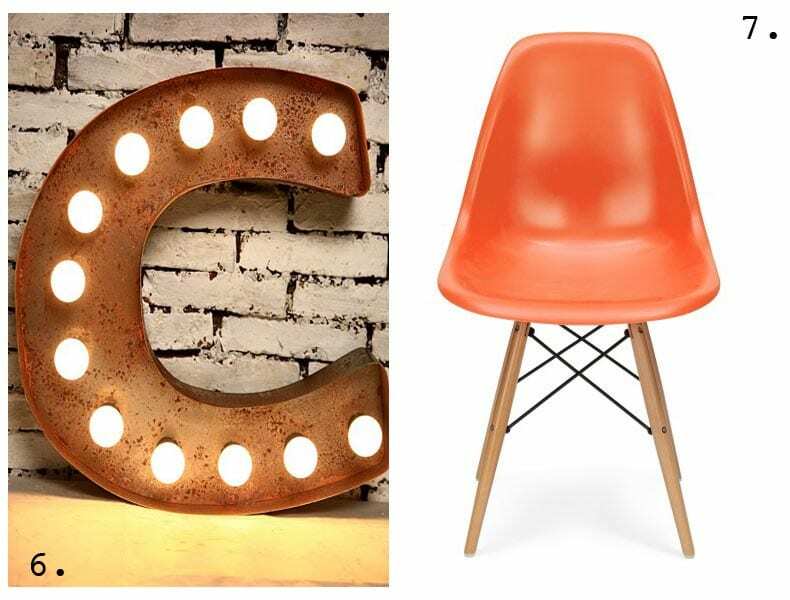 To add a ray of Las Vegas I’ve got my eyes set on this initial ‘C’ (6) Vegas style light and this gorgeous (7) Eames Orange DSW Chair. So excited to seek out some fabulous pieces and get to work!